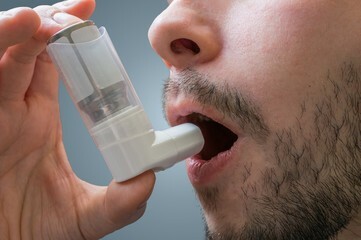 Background: Can leading a simple traditional life correlate to health in non intuitive ways such as acting as a buffer against the development of asthma? Recent studies have shown that asthma is less prominent when microbial diversity is high (Genuneit, 2012); this trend has been observed in children involved in farming (Mutius,2010). Genuneit demonstrate that children who are exposed to farming have a 25% decreased chance of experiencing asthma (Genuneit, 2012). Logically it is sensible that the diversity of microbes would be higher in children exposed to farming, with all the dirt, hay and animals that comes with it, than children who are not exposed to that environment and live in more consistent sanitary lifestyle. In other words the diversity of a bacterial community across subjects (farm children vs. non-farm children) is much higher in children exposed to farming than those who were not. But how is such a phenomenon achieved? The hygiene hypothesis is a popular explanation for this trend and goes as follows: increased healthcare in industrial countries has reduced overall microbial diversity,via antibiotics and an emphasis on sterility, which has increased prevalence of diseases such as asthma (Fahrländer, 2002).Contrary to old school thought, not all microbes are bad and certain microbes may be associated with health, i.e. certain medical conditions are caused by an absence of microbes rather than the presence (Gilbert, 2014). With recent culture independent sequencing techniques, we can now directly observe what communities of microbes are present without trying to culture them, allowing us to observe the similarity among microbes present in order to make inferences about the microbial communities and their relationship. These sequencing techniques, made possible by next generation sequencing and pcr, was directed towards the mattresses and nasal passage of farm children and their respective negative control non-farm children counterparts . This demonstrated the varying degrees of microbial diversity these two groups hosted which allowed researchers to assess whether or not microbial diversity is associated with asthma resistance in farm children. The big question: Do farming associated microbes alter the microbiome of the nasal passages and what extent do these microbes enter the living space of children associated with farming? Evidence: Birzele et al. found higher diversity among samples in farm children than non farm children in regards to the mattress samples, via swabbing, consistent with their hypothesis. The identity of these microbes was associated with farming, more specifically contact with straw and cows. Although the nasal passage shared many of these same microbes as the mattress samples, the concentration of these farm related microbes were under 1% inferring that there is a weaker relationship between farming and the microbiota of the nasal passages. However frequent clearing of the nose could explain these insignificant results. Although no significant data can be accepted from the nose, the population of microbes in the nose did correlate to the mattress samples with relative abundances less than 1%. This means that there could be a relationship but it is not strong enough to be accepted. This dampened relationship could be explained by the constant clearing of the nasal passage coupled with the host’s own immune response. A presence vs absence analysis on the genus level of the microbes in farm children vs non-farm children revealed several possible candidates for microbes that may act as buffers to the effects of asthma. Where we are now: While we now have a clear understanding of the microbial community present in farm children and an idea of which microbes are associated with asthma resistance, how these microbes actually create a buffer to asthma in regards to their protein secretions are unknown. Defining the community of microbes present around children involved in farming juxtaposed with the microbial community of the negative control is a good step in the right direction but further research needs to be done to understand how these microbes protect their host. Furthermore, because the nasal cavity failed to show significant results, Birzele hypothesized that these farm microbes may inhabit the gut of the hosts and incur some innate resistance. Alternatively he proposed that the microbe’s metabolites when inhaled may incur the asthma resistance: the proposed metabolite hypothesis. While shifts in the microbiota of the nasal cavity were not observed in any significant number, a definite increase in farm related microbes were observed in the mattresses of farm children. However, I think it would be prudent to redo this experiment while also sampling the upper respiratory system to see if farm related microbes have colonized the upper respiratory tract. If similar microbes are found there then maybe the nasal passage only acts as an entrance to its preferred niche and is then promptly cleared from the nasal passages via nasal clearing. Also as stated earlier and in conjunction with the metabolite hypotheses I believe that proteomics and metabolomics (analysis of the microbes’ protein output and metabolic niches respectively) should also be extracted and analyzed to understand what these microbes are actually doing instead of just what is there. Future reading: If you are interested about the the possible causes of why microbes affect the onset of asthma the New York Time’s “Barnyard Dust Offers a Clue to Stopping Asthma in Children” offers a well put together overview of the hygiene theory present earlier i.e that our level of hygiene has reduced microbial diversity and lead to unforeseen consequences. This article’s overview of Dr. Chatila’s work the parallels this study but with the addition of an immunology approach which showed a positive relationship to the levels of white blood cells in children surround by farm animals and an inverse relationship in children who are not respectively. Braun-Fahrlander C, Riedler J, Herz U,Eder W, Waser M, Grize L et al. Environmental exposure to endotoxin and its relation to asthma in school-age children.N Engl J Med 2002;347:869–877. Genuneit J. Exposure to farming environments in childhood and asthma and wheezing rural populations: a systematic review with meta-analysis. Pediatr Allergy Immunol2012;23:509–518. Gilbert, J. A. “Life in a World without Microbes.” Life in a World without Microbes. PLOS BIOLOGY, n.d. Web. 22 Nov. 2016.